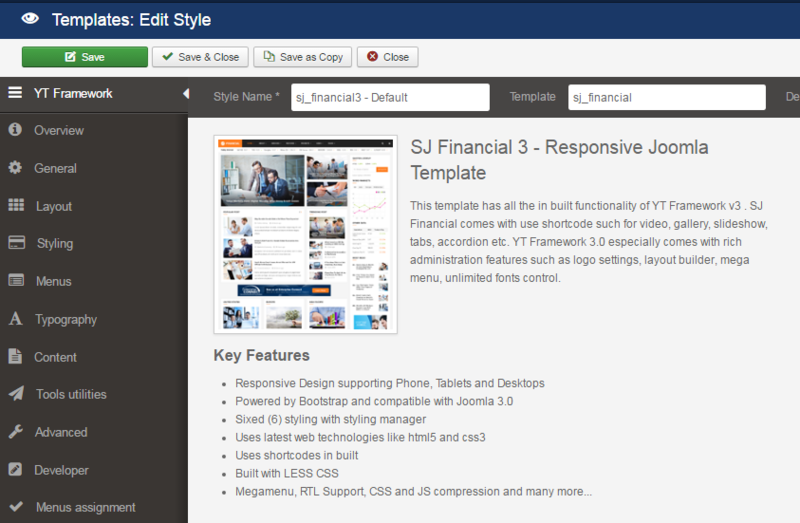 This guide will help you install SJ Financial III Template step by step. 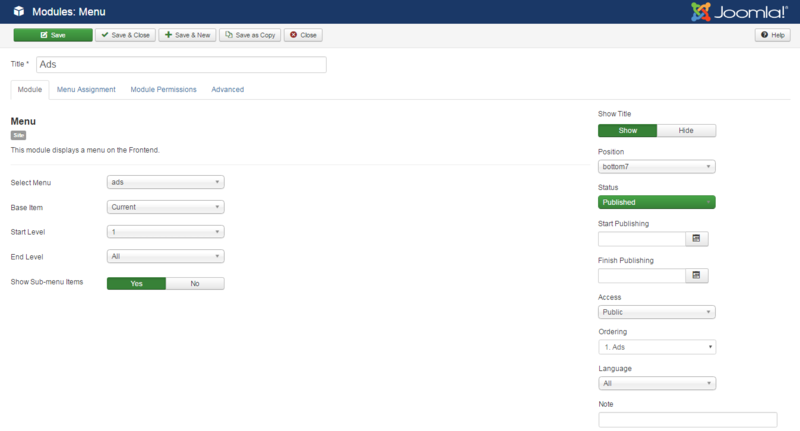 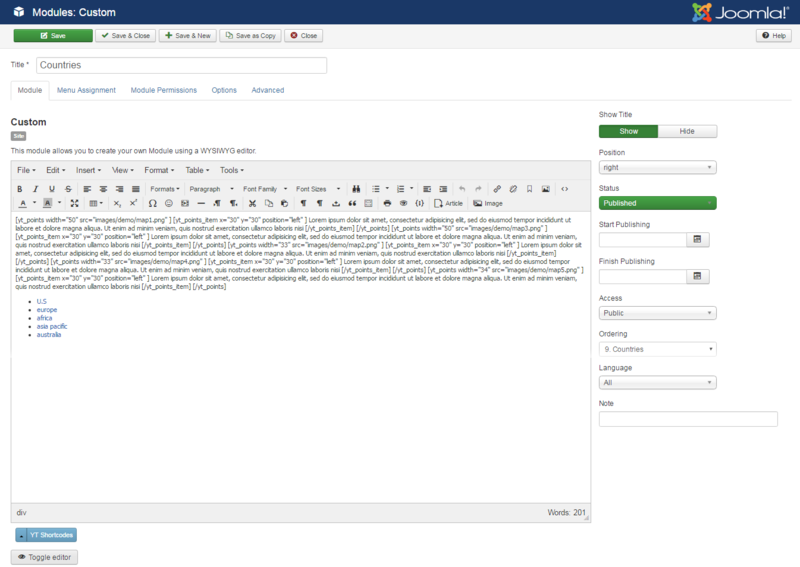 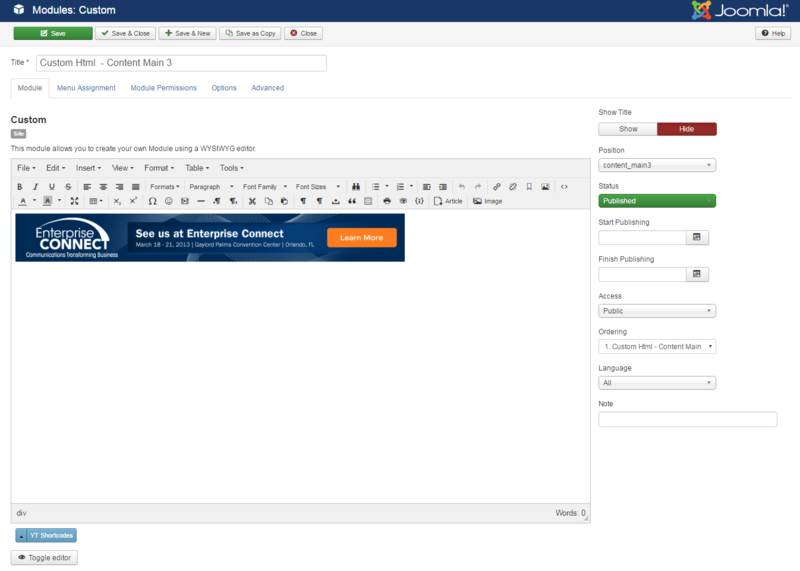 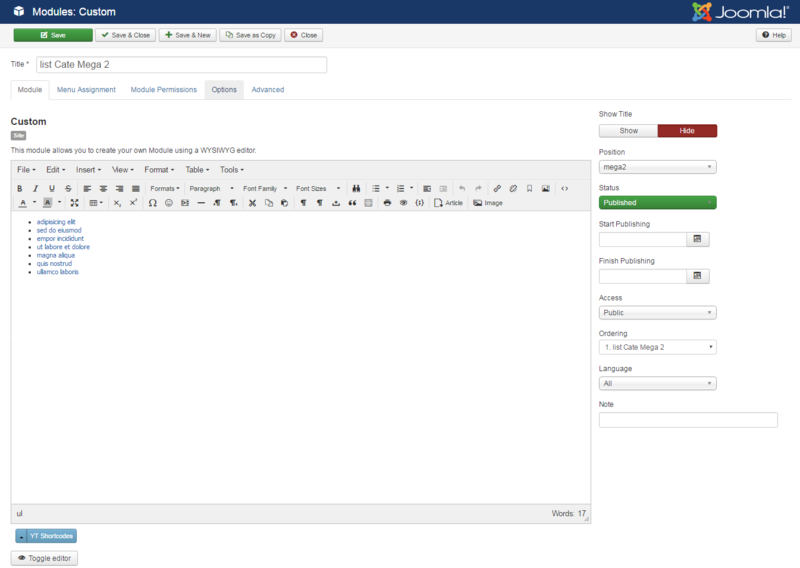 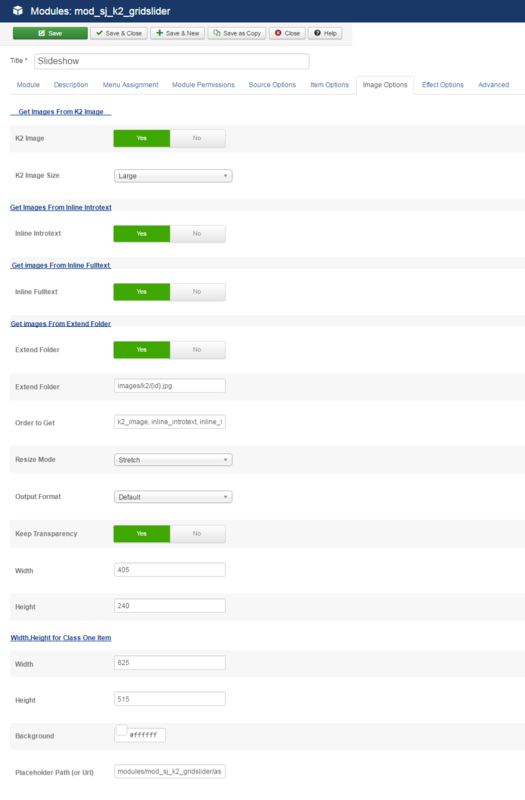 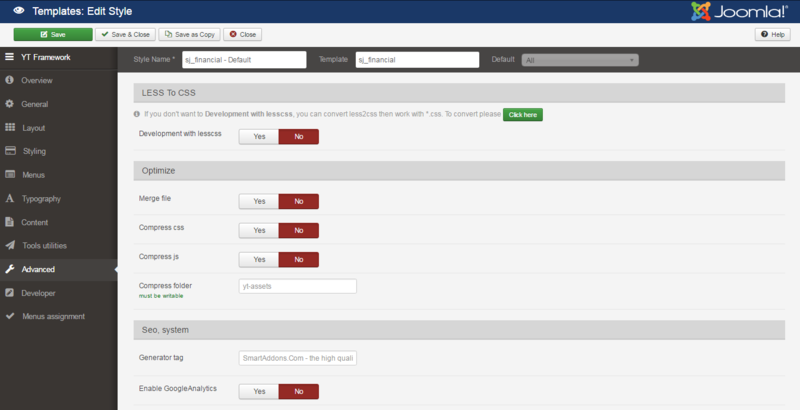 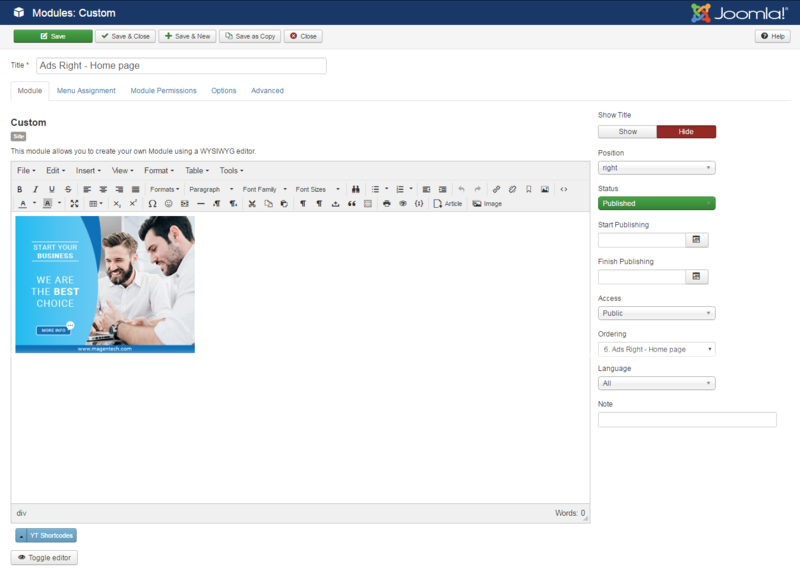 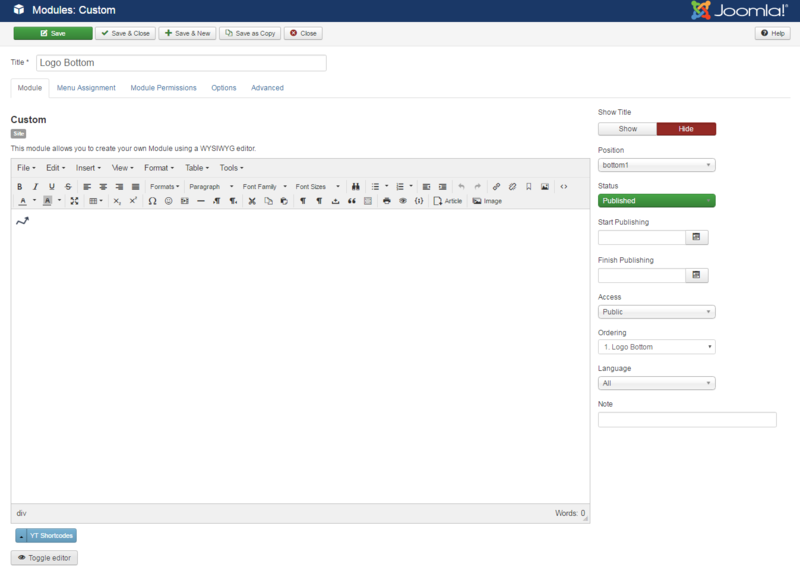 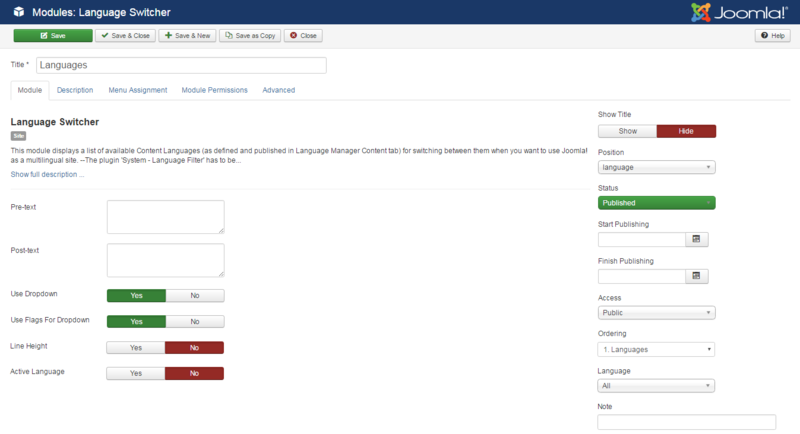 Install Quickstart: By using this package, you will see your website exactly as our Demo with sample data. 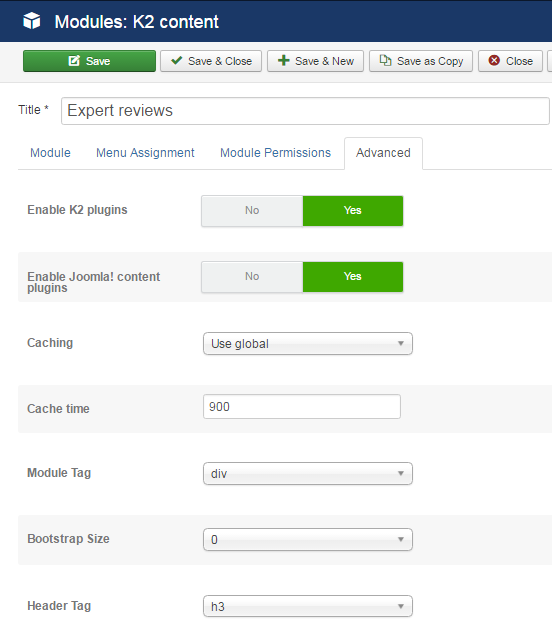 This is applied when you need a fresh Joomla with our template. 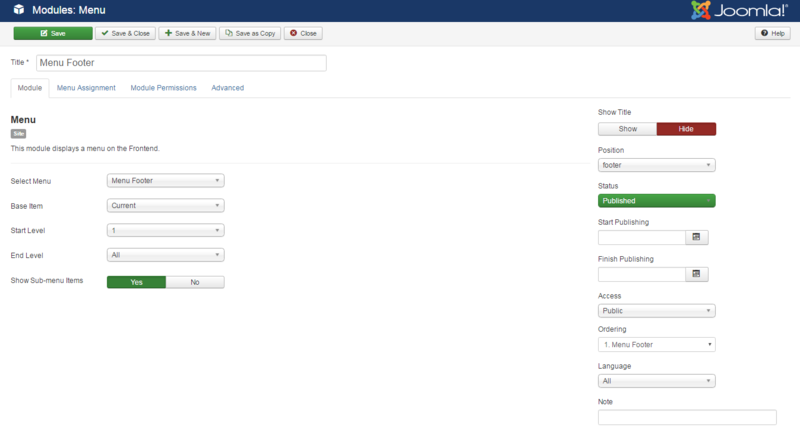 Step 2: Choose file K2 component.zip that you have downloaded and then Click on the button Upload & Install to install the uploaded package. 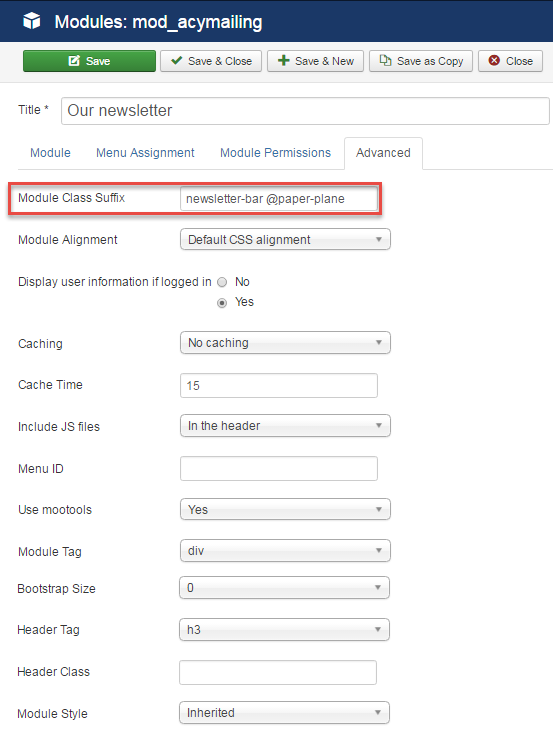 To install Acymailing Component you do the same as the installation K2 Component. 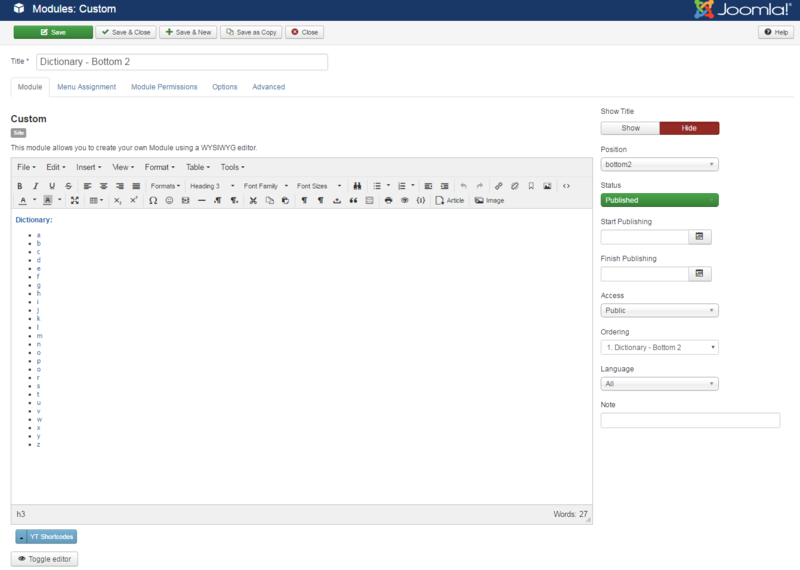 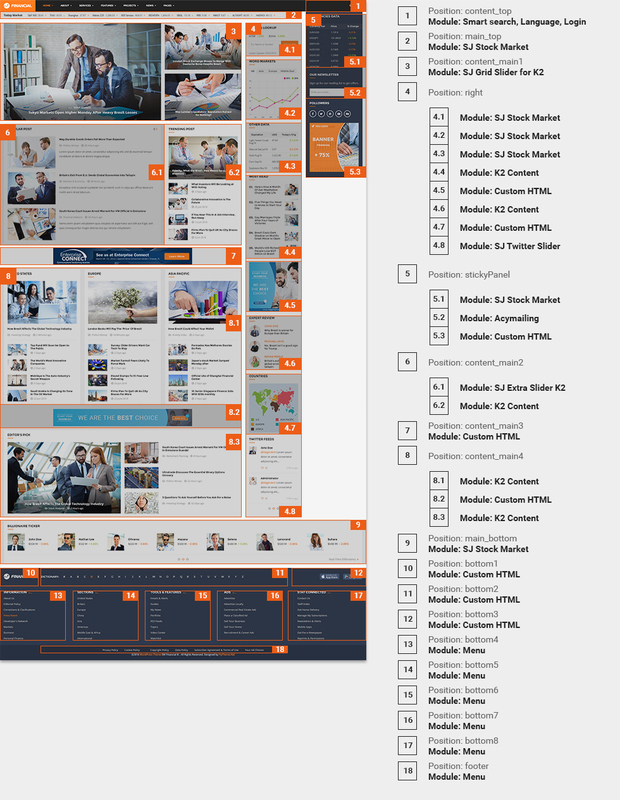 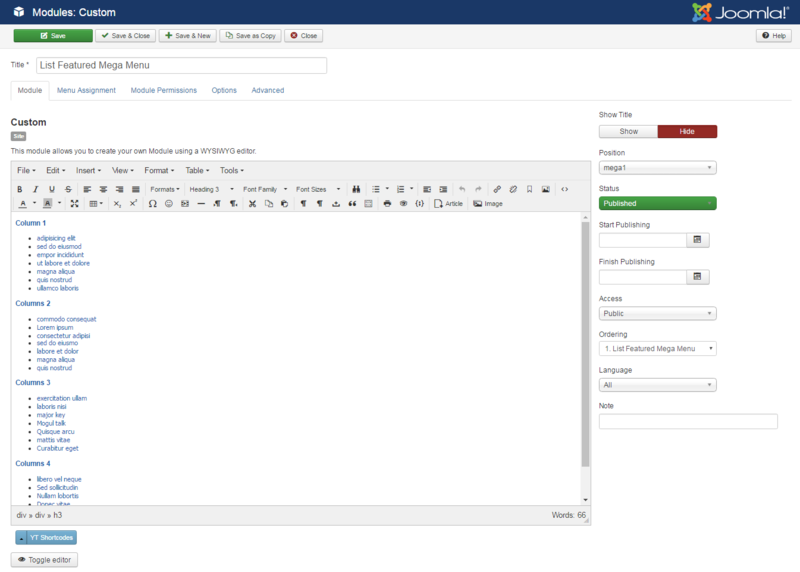 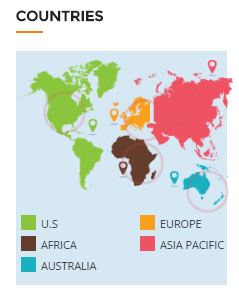 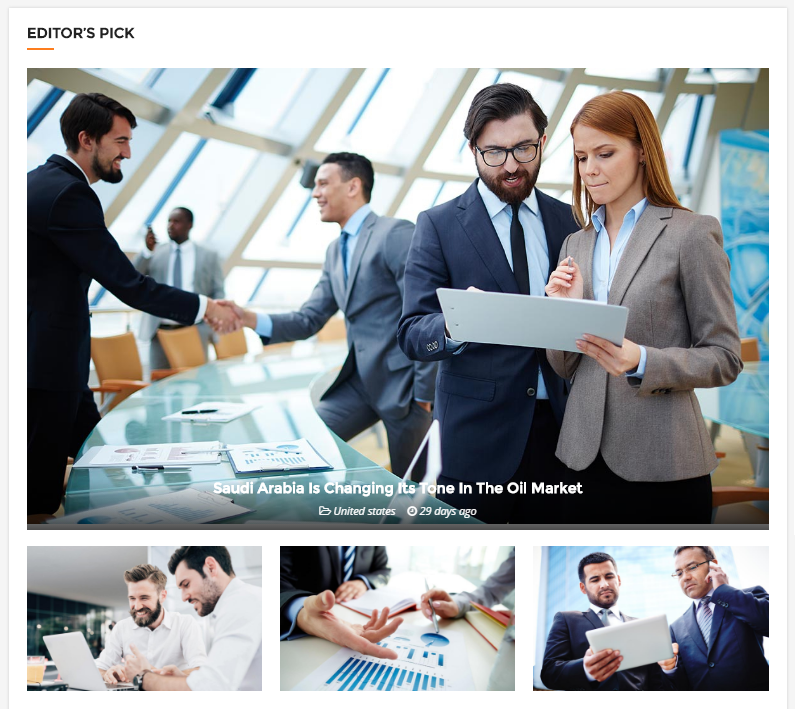 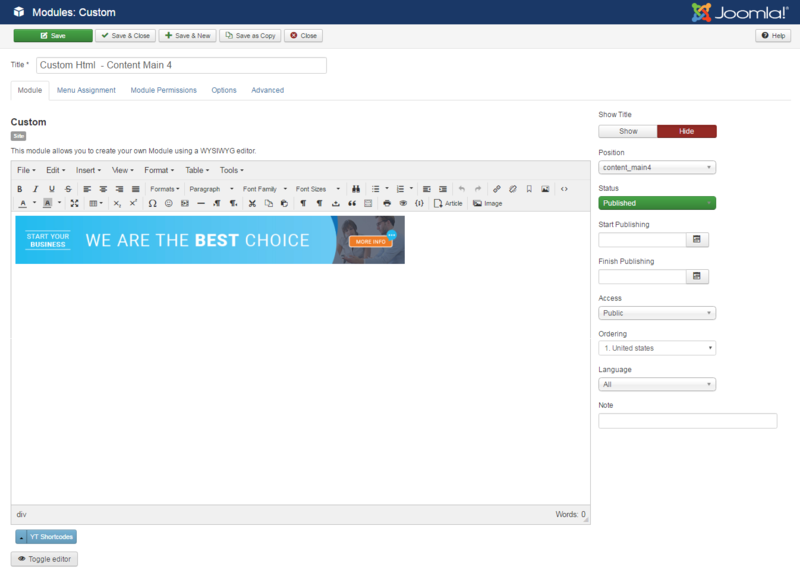 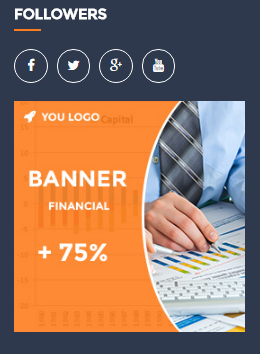 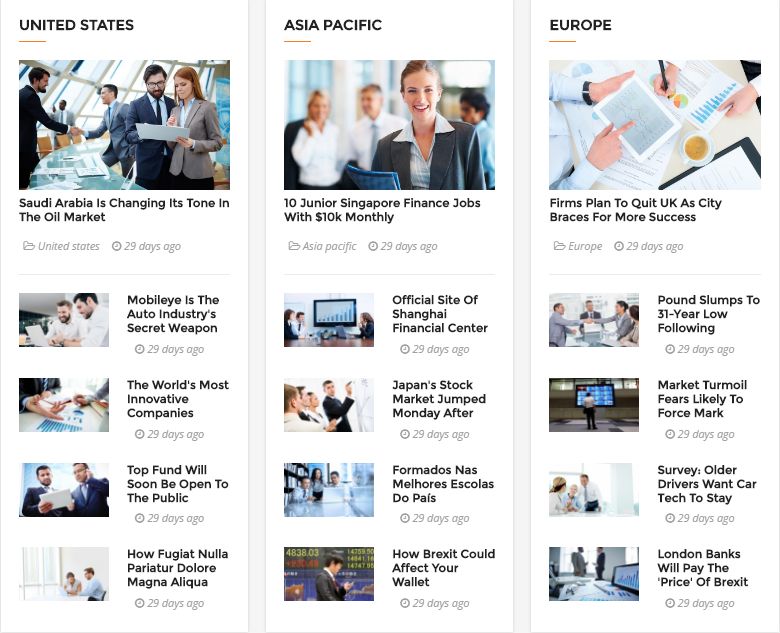 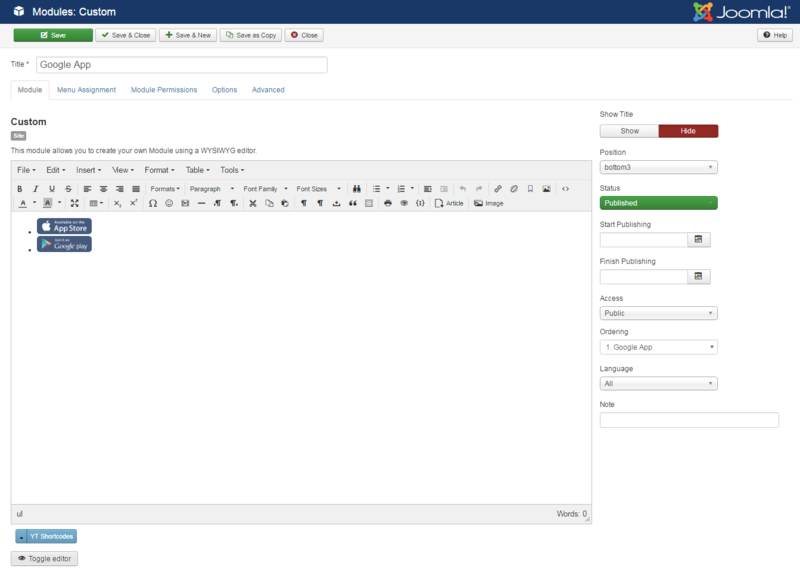 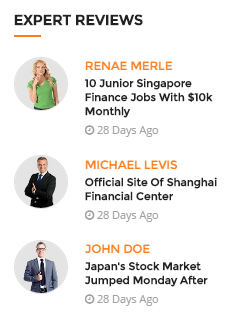 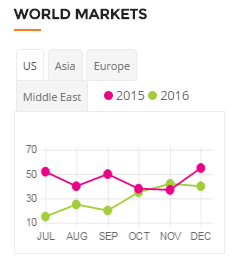 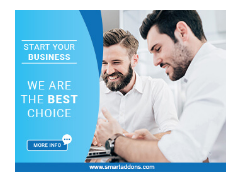 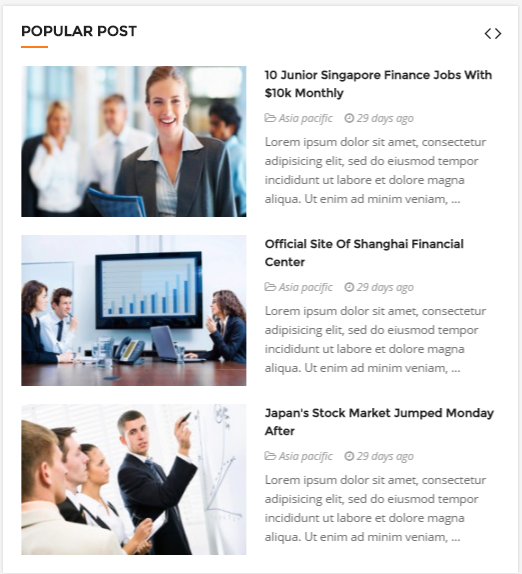 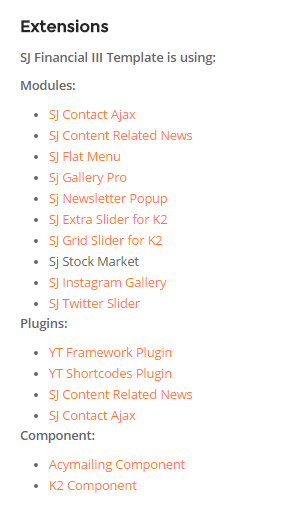 If you want to make your site same as SJ Financial III demo site, this would be helpful. 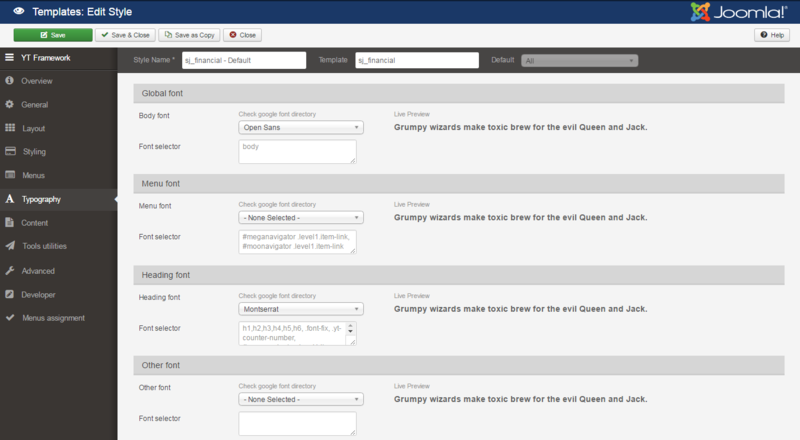 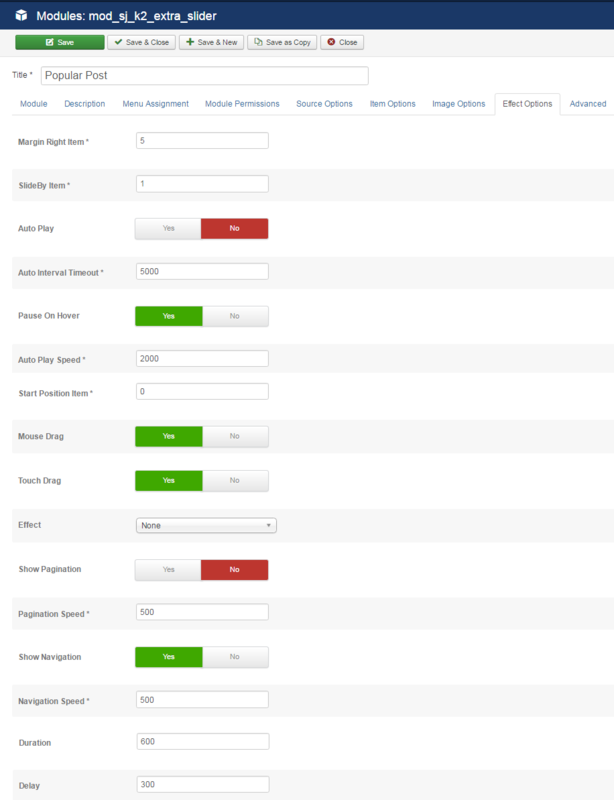 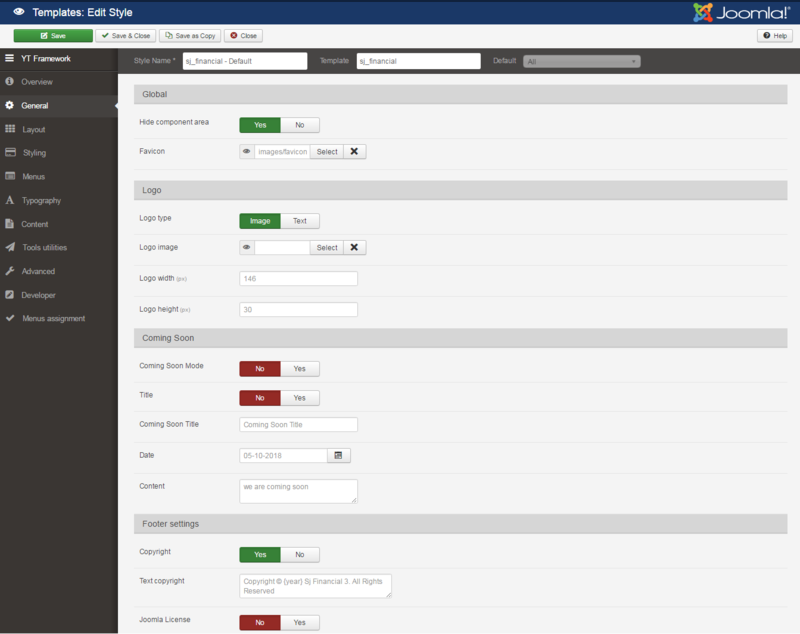 We will only show the important, customized settings. 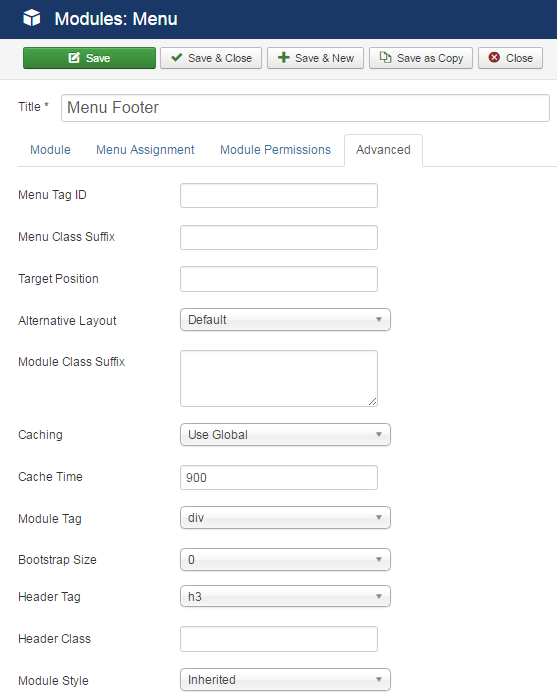 To configure “Mega Menu”, please go to Menus >> Main menu >> Find “Mega Menu” (you can create new menu if this menu is not exist). 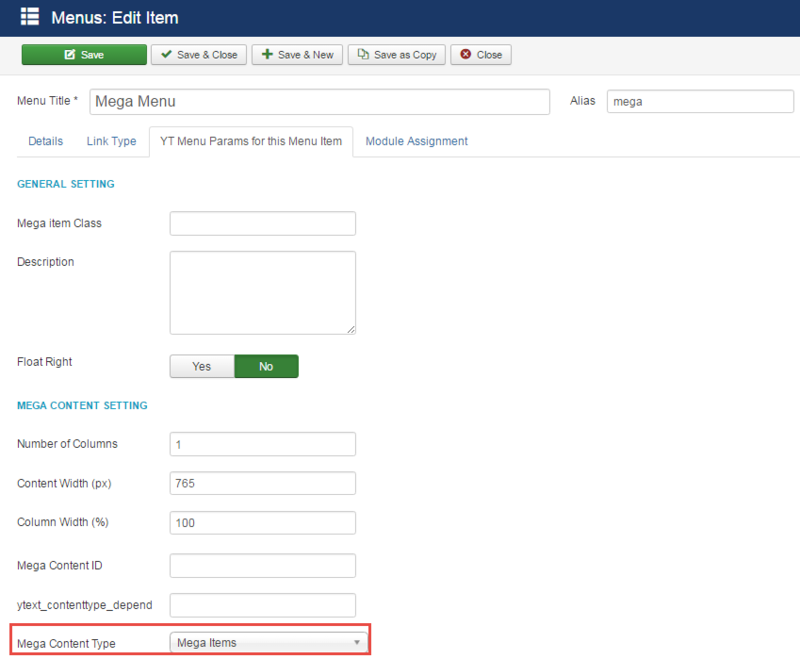 To configure “List Featured Mega Menu”, please go to Menus >> Main menu >> Find “List Featured Mega Menu” (you can create new menu if this menu is not exist). 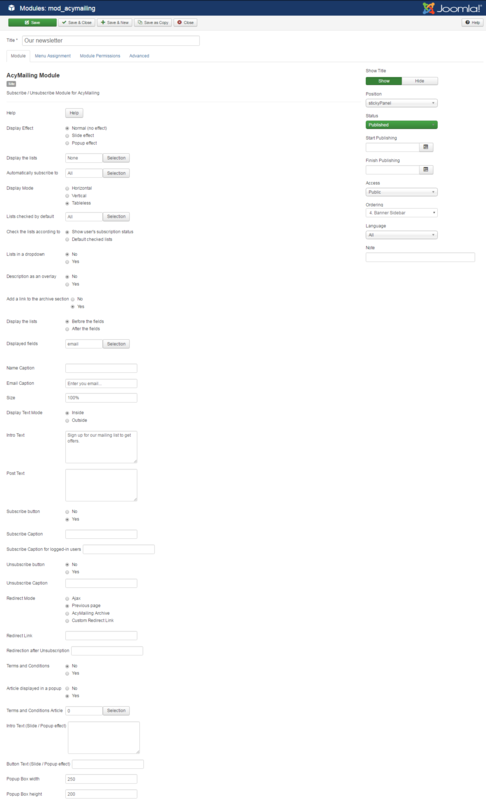 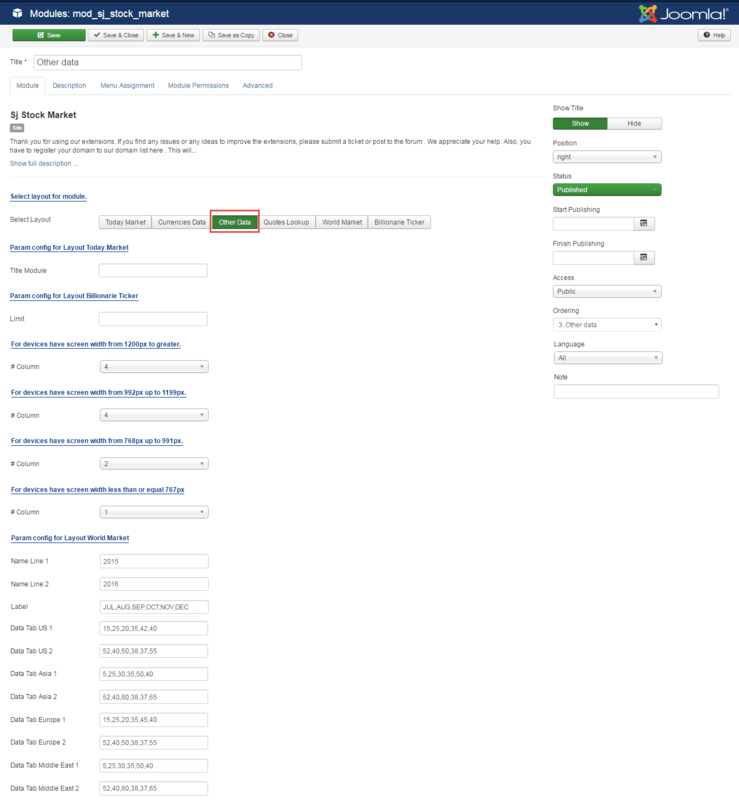 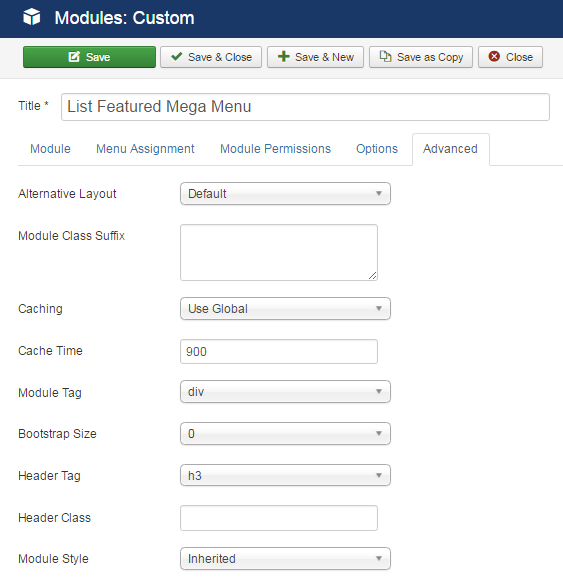 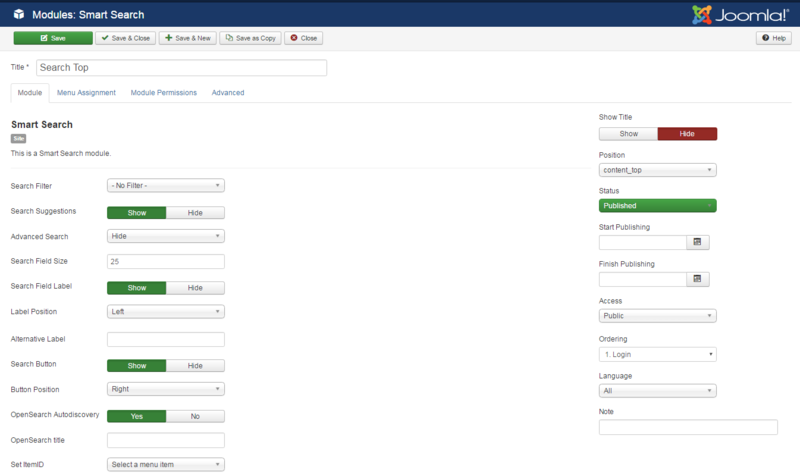 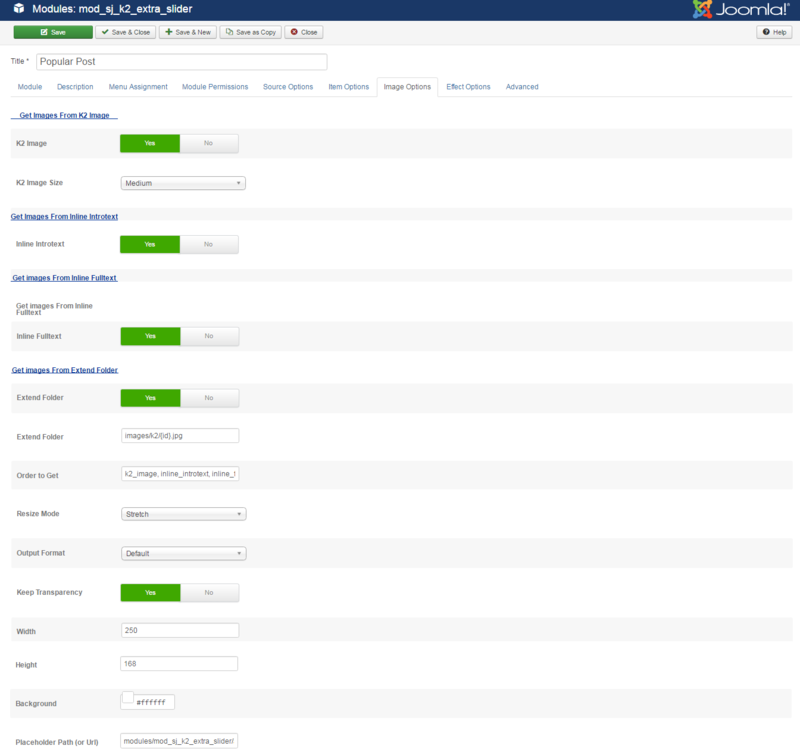 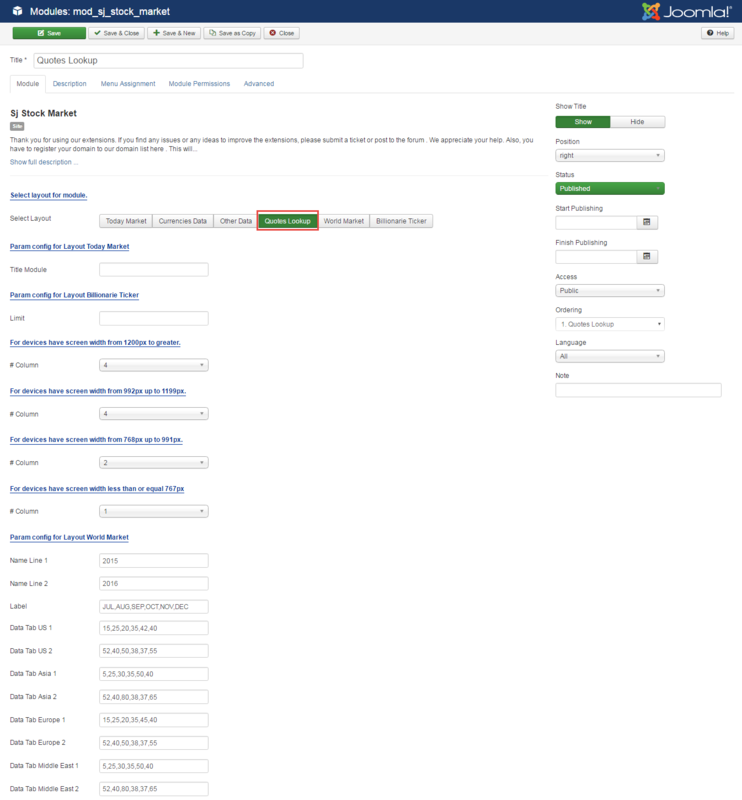 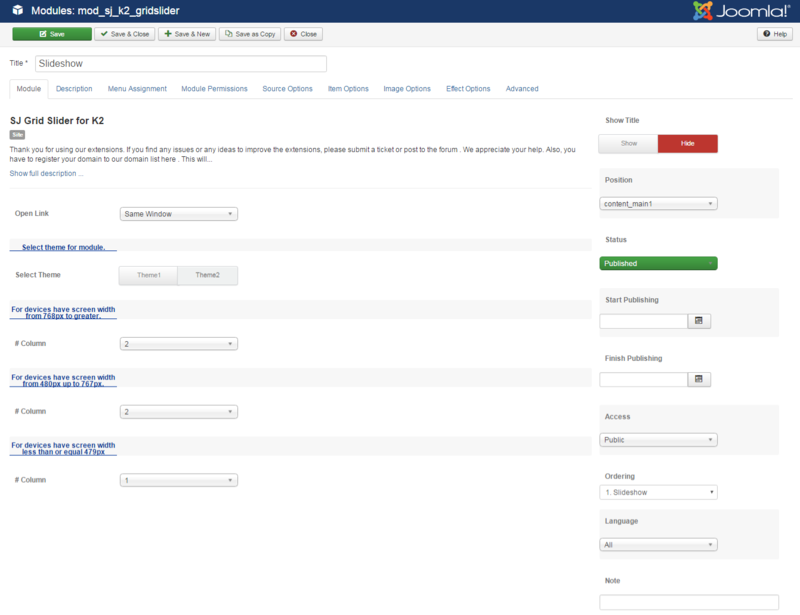 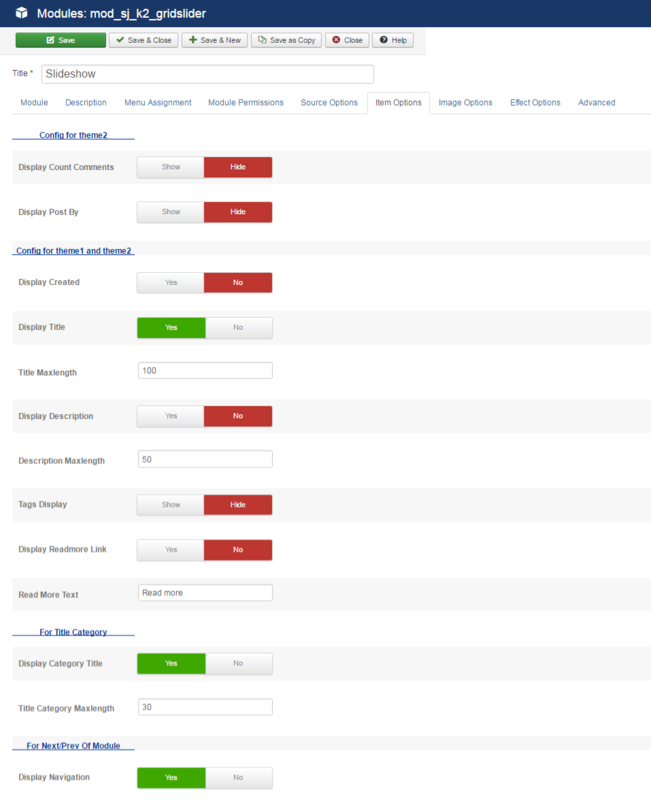 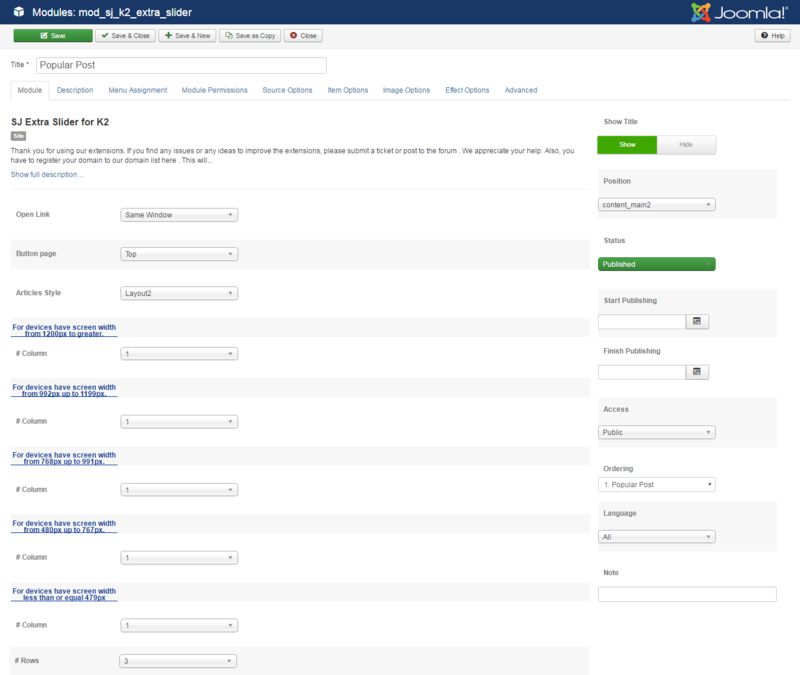 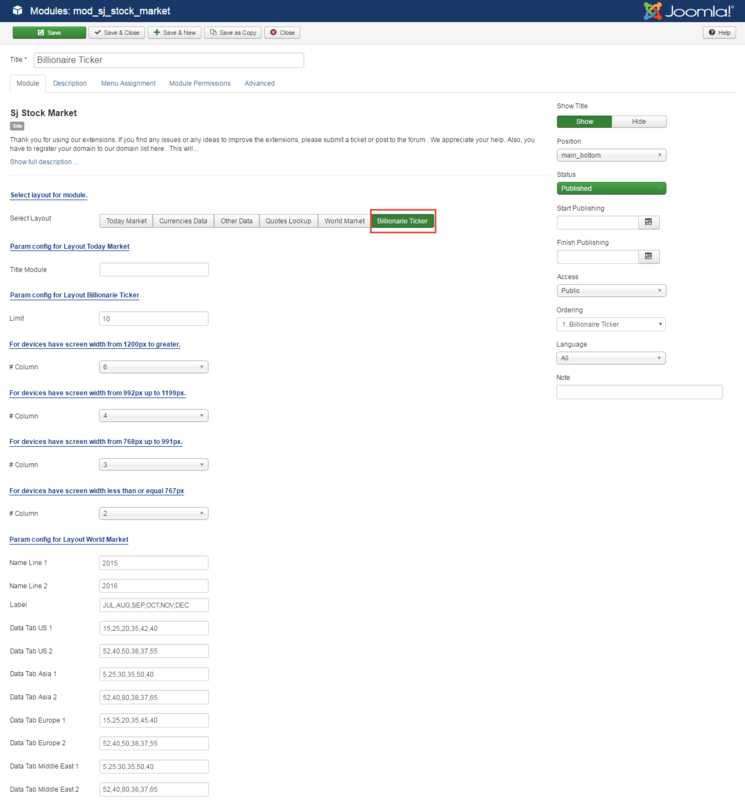 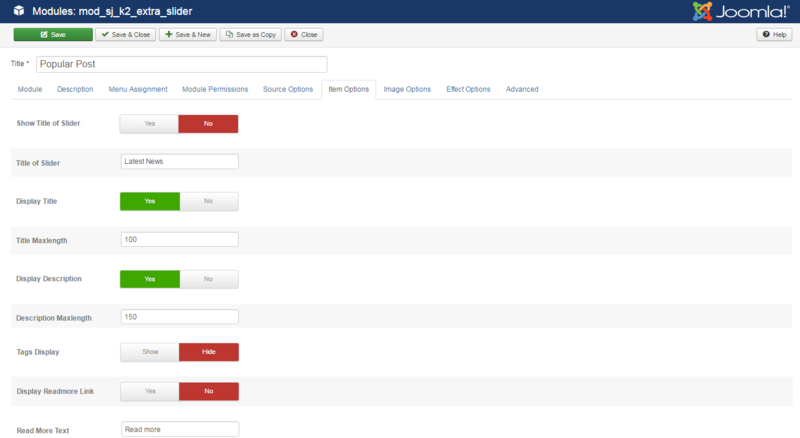 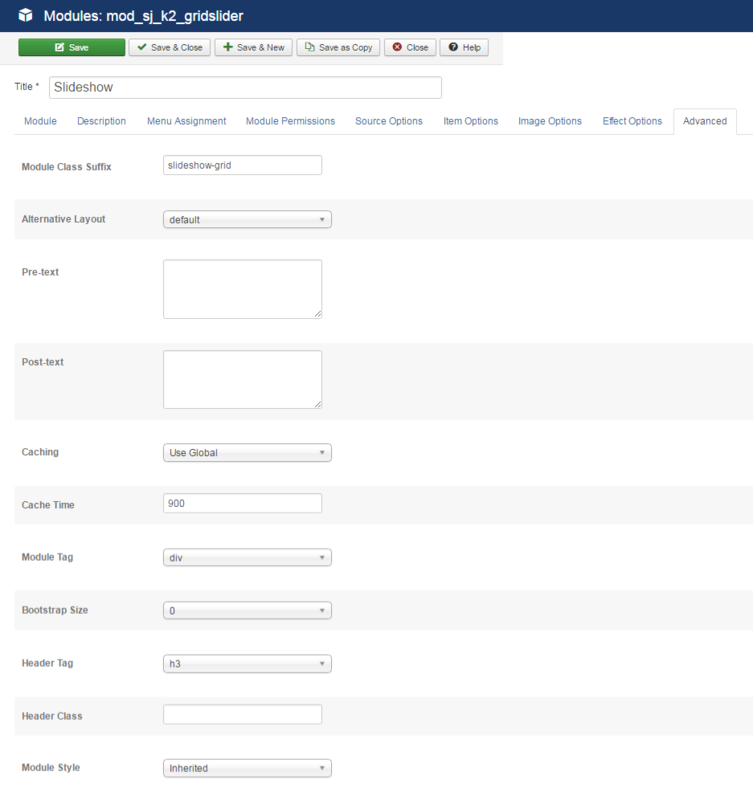 To configure List Featured Mega Menu please go to Extensions >> Module Manager >> Click “New” button to create a new module >> Select “Custom” module. 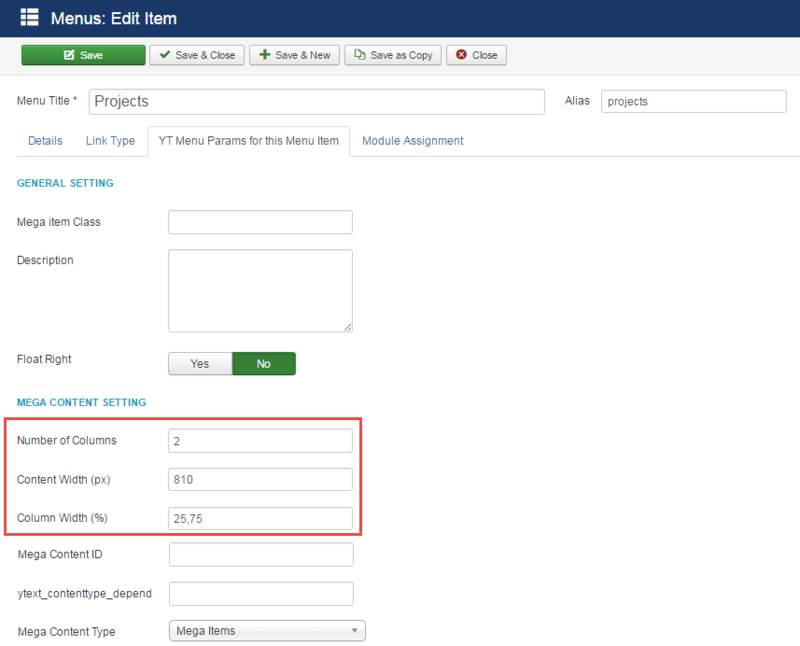 To configure “Projects Menu”, please go to Menus >> Main menu >> Find “Projects Menu” (you can create new menu if this menu is not exist). 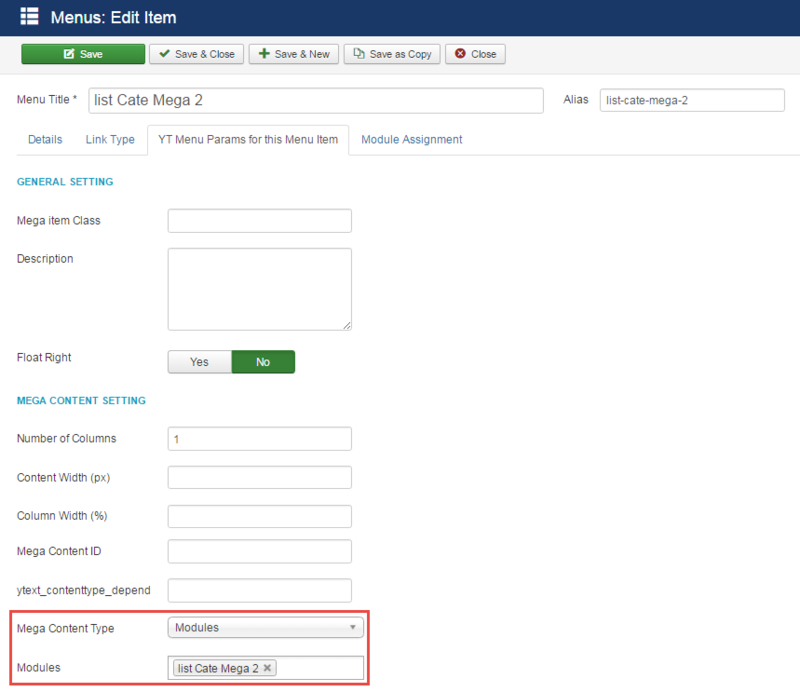 To configure “List Cate Mega 2”, please go to Menus >> Main menu >> Find “List Cate Mega 2” (you can create new menu if this menu is not exist). 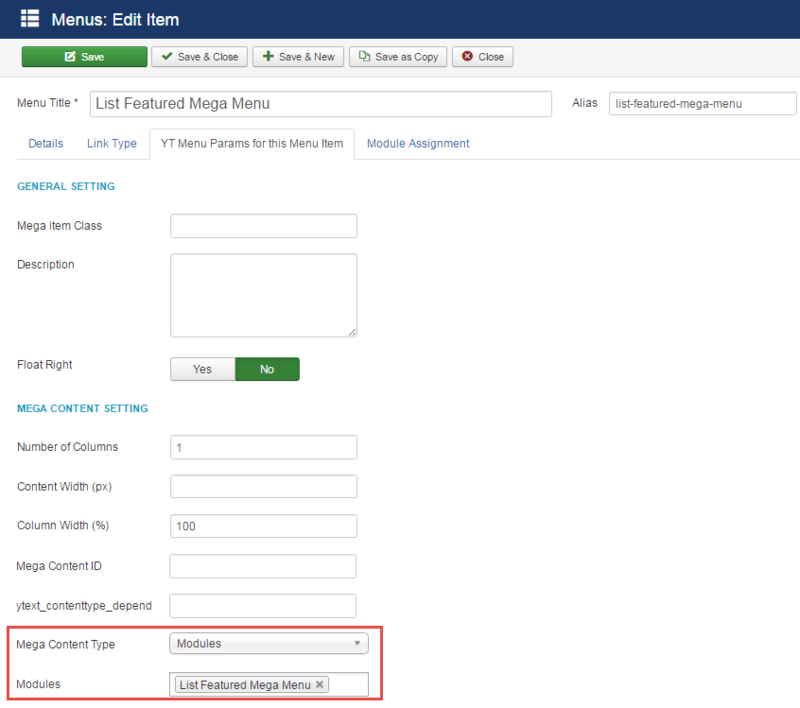 To configure List Cate Mega 2 please go to Extensions >> Module Manager >> Click “New” button to create a new module >> Select “Custom” module. 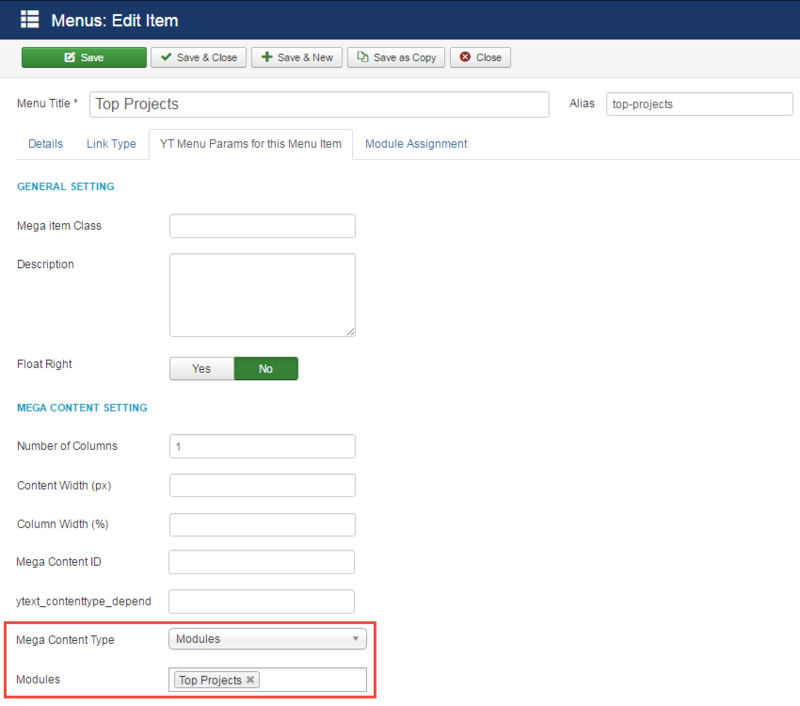 To configure “Top Projects”, please go to Menus >> Main menu >> Find “Top Projects” (you can create new menu if this menu is not exist). 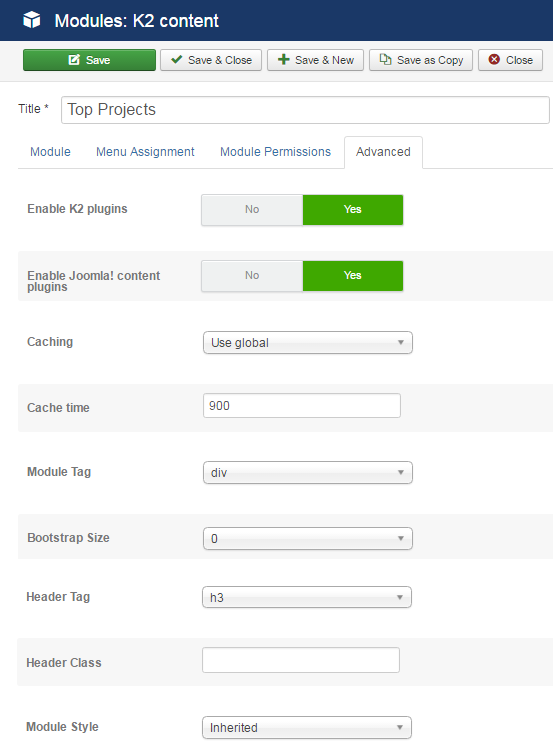 To configure Top Projects please go to Extensions >> Module Manager >> Click “New” button to create a new module >> Select “K2 Content” module. 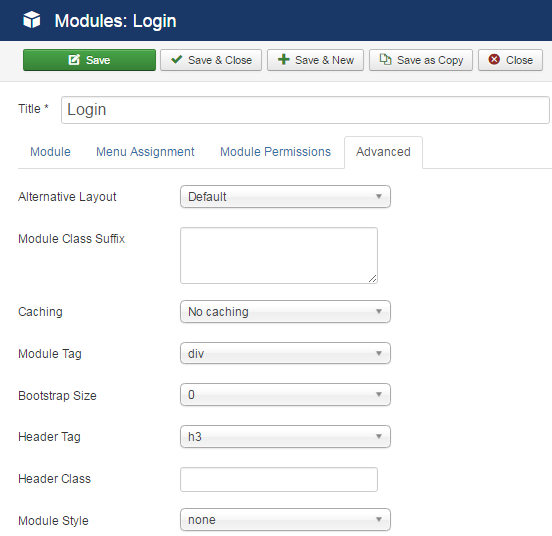 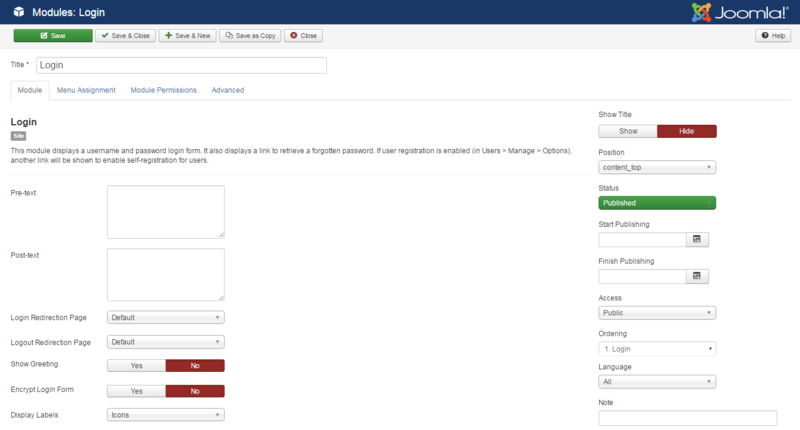 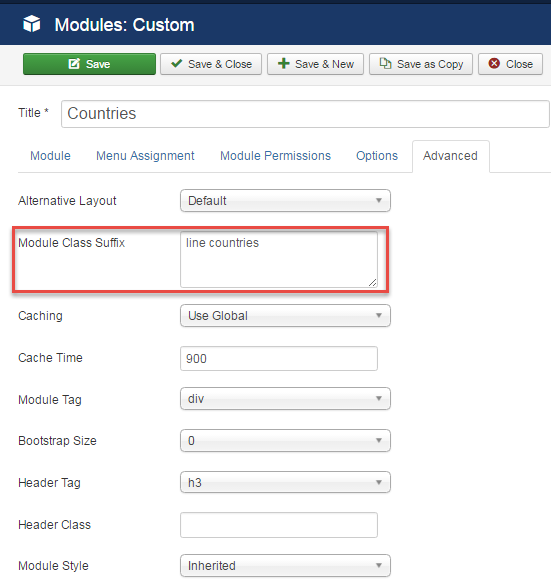 To configure this module, please go to Extensions >> Module Manager >> Click “New” button to create a new module >> Select “Login” module. 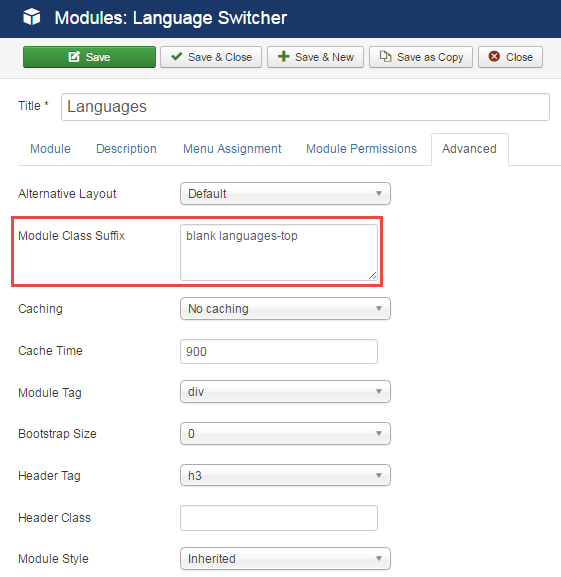 To configure this module, please go to Extensions >> Module Manager >> Click “New” button to create a new module >> Select “Language” module. 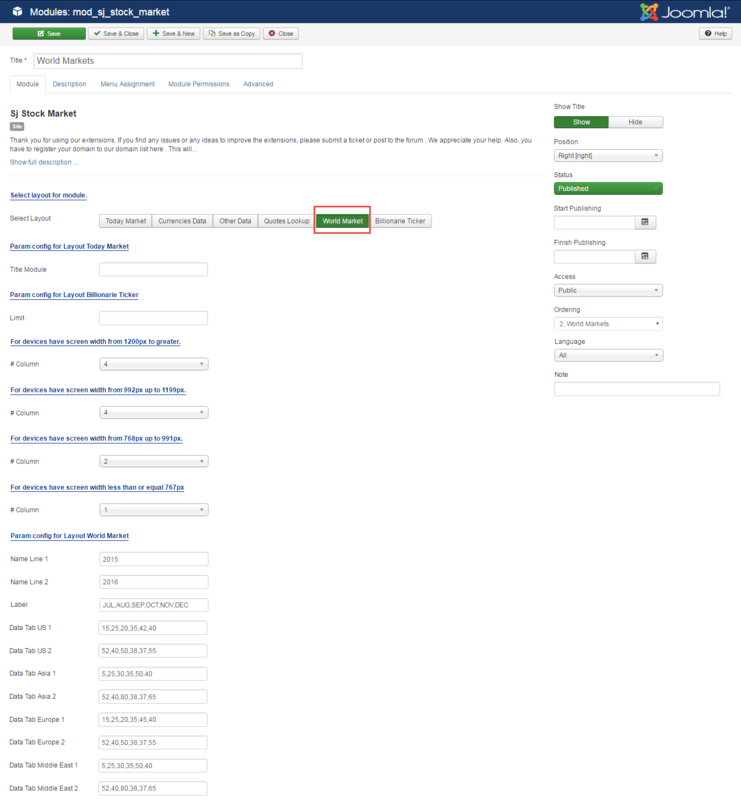 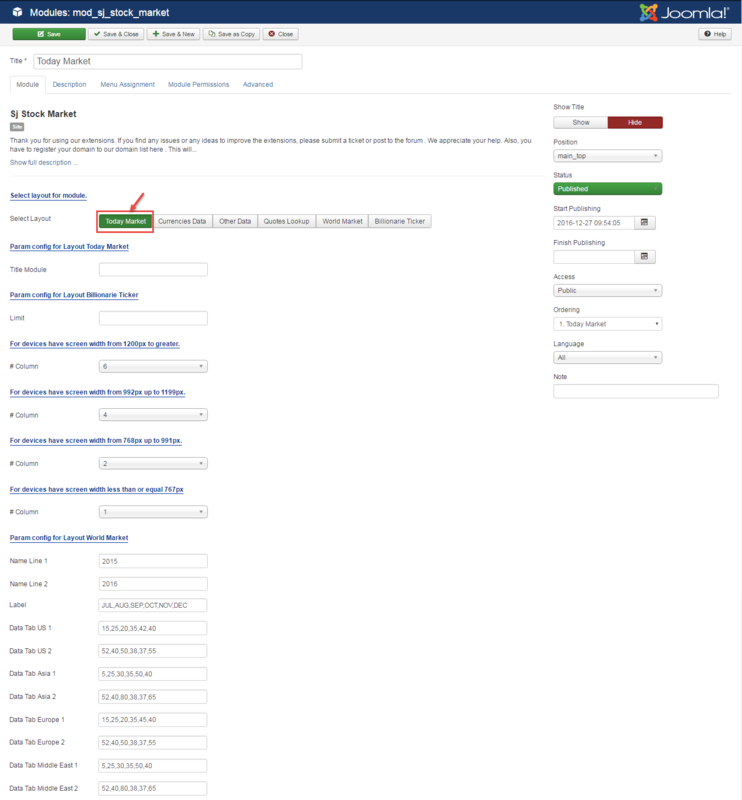 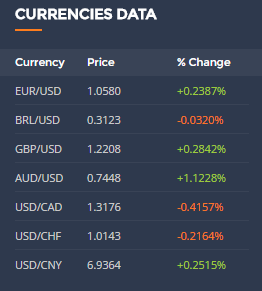 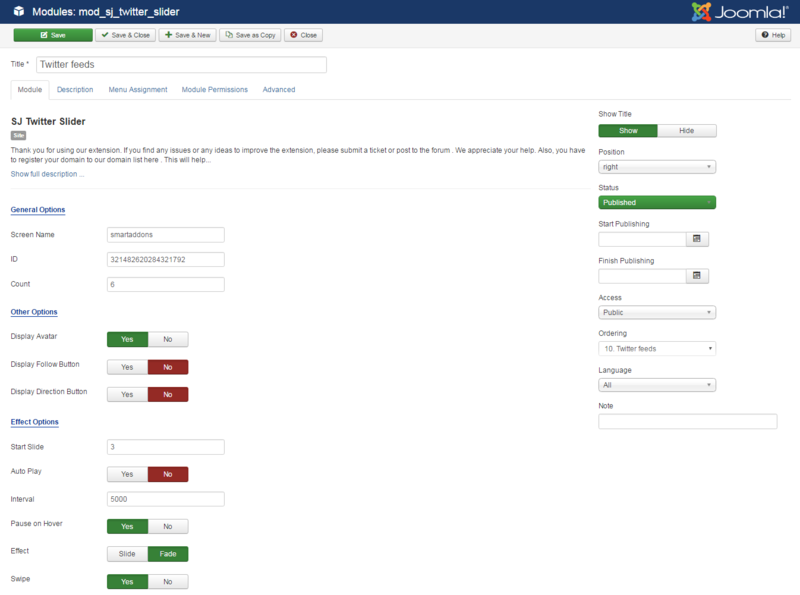 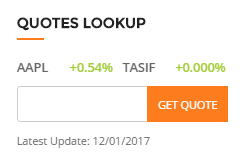 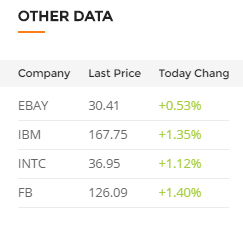 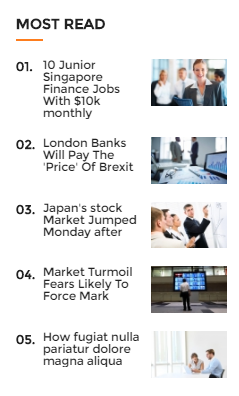 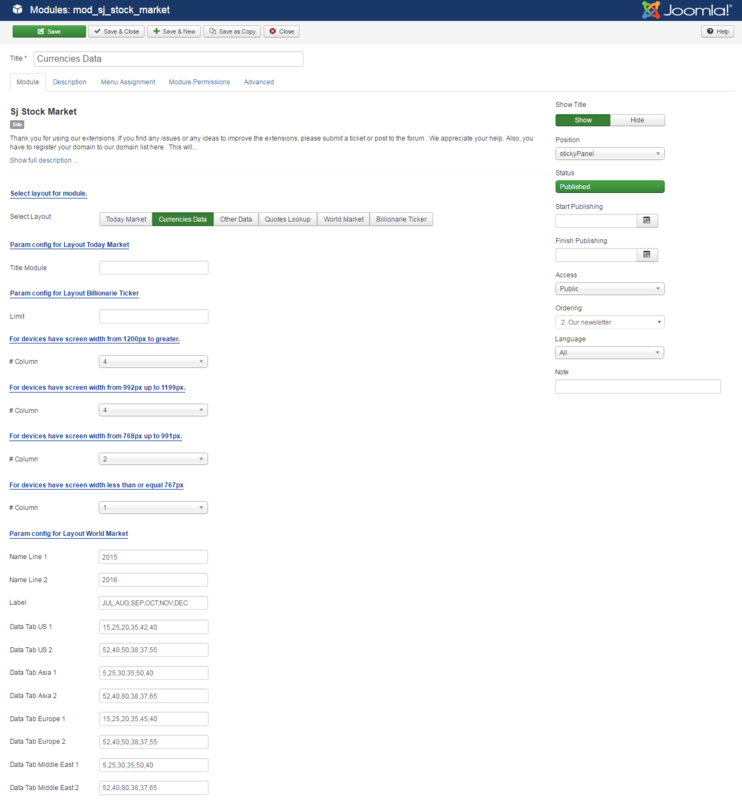 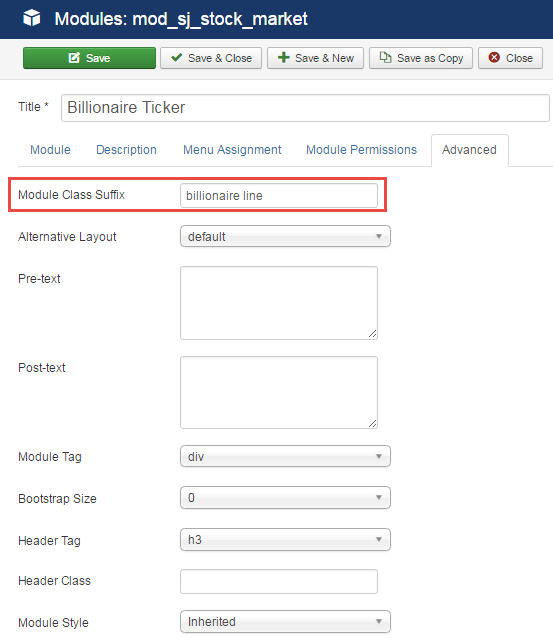 To configure this module, please go to Extensions >> Module Manager >> Click “New” button to create a new module >> Select “Sj Stock Market” module. 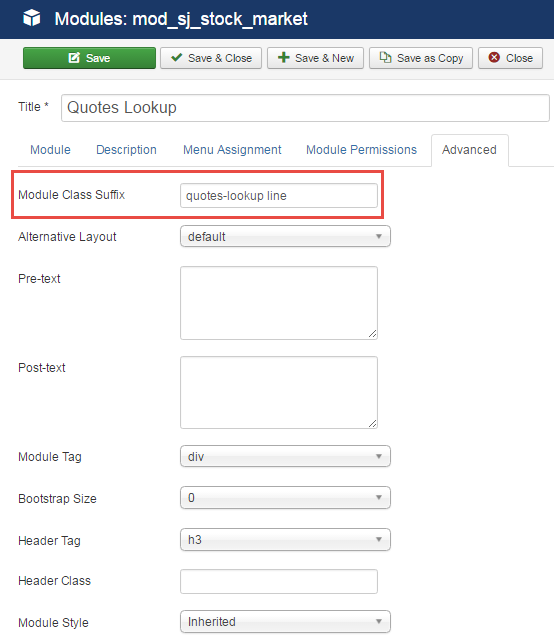 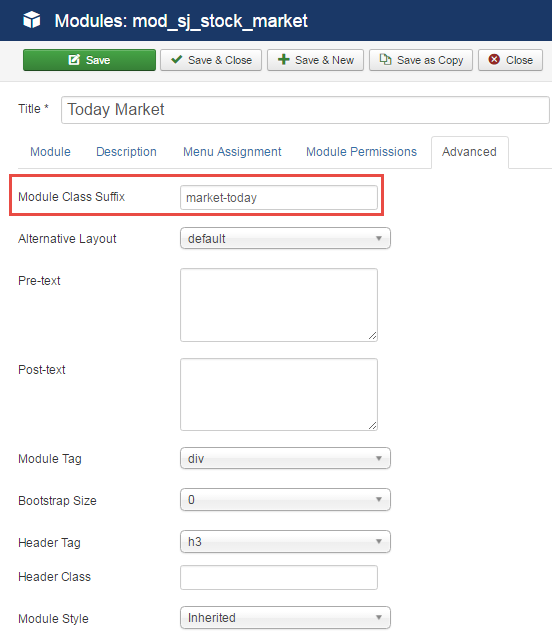 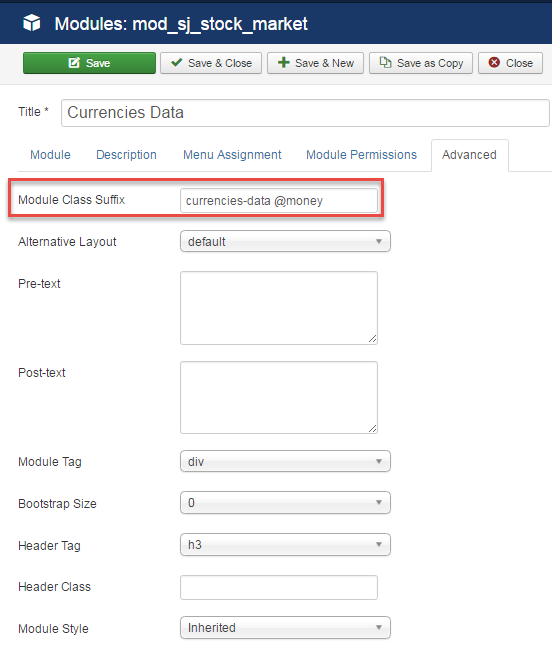 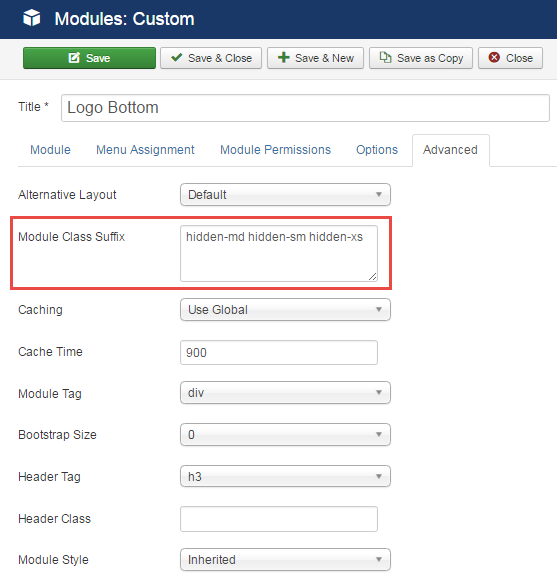 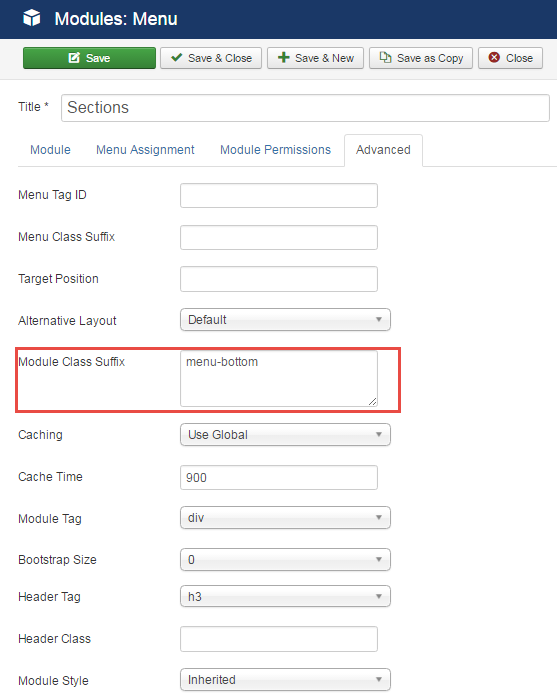 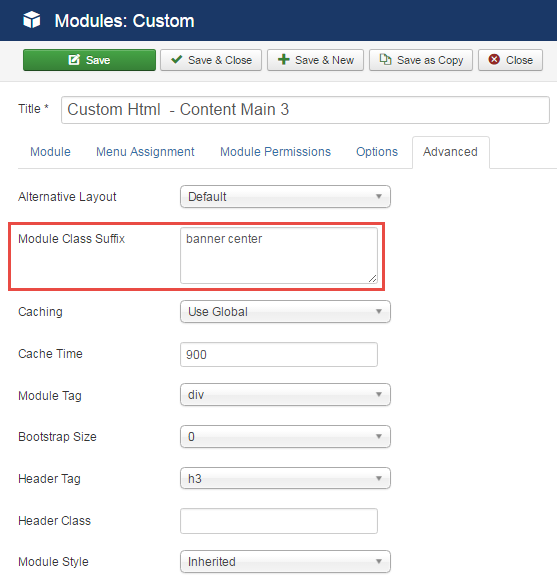 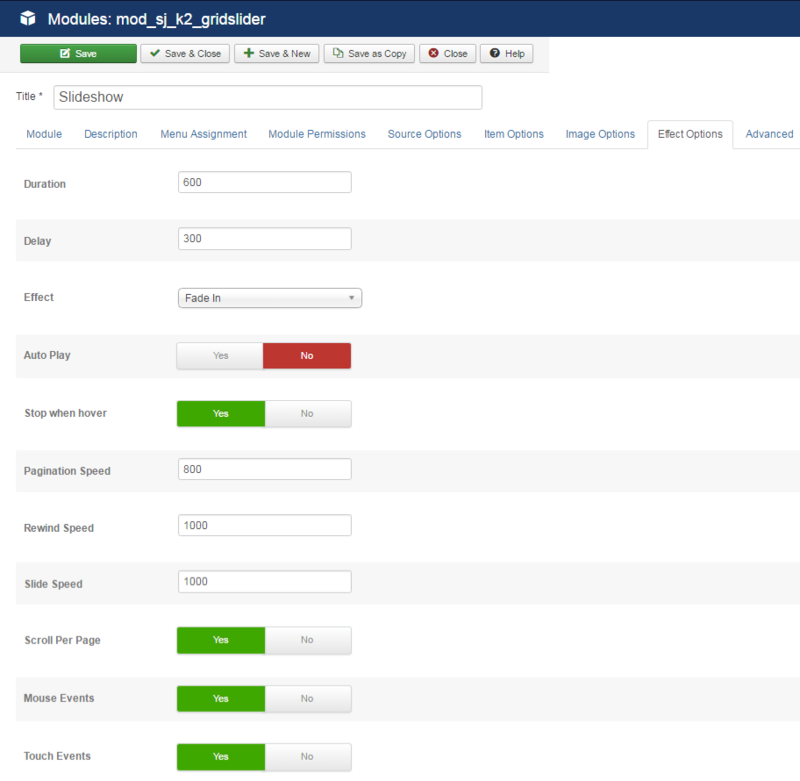 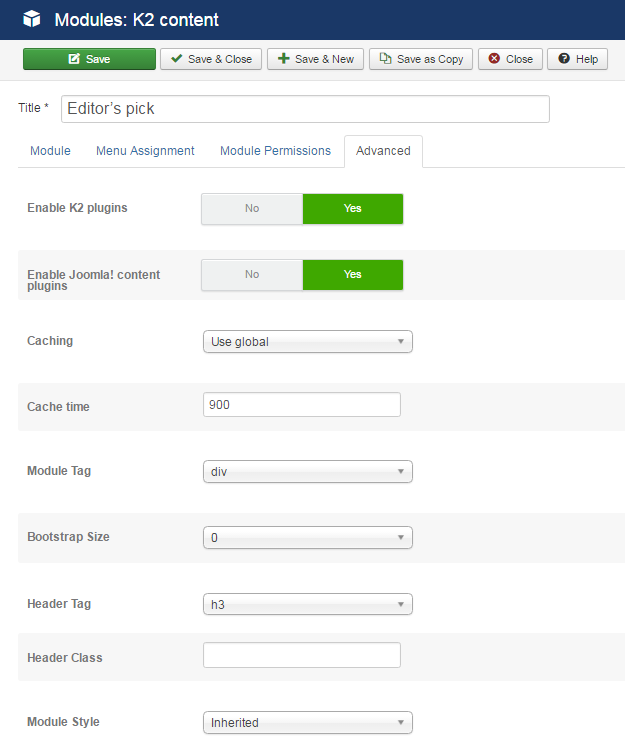 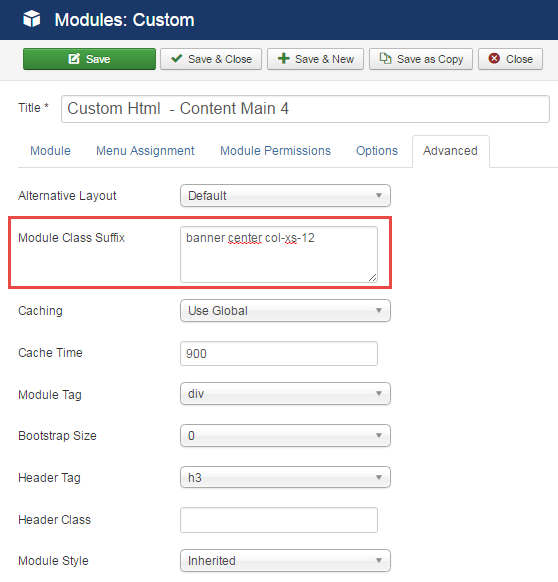 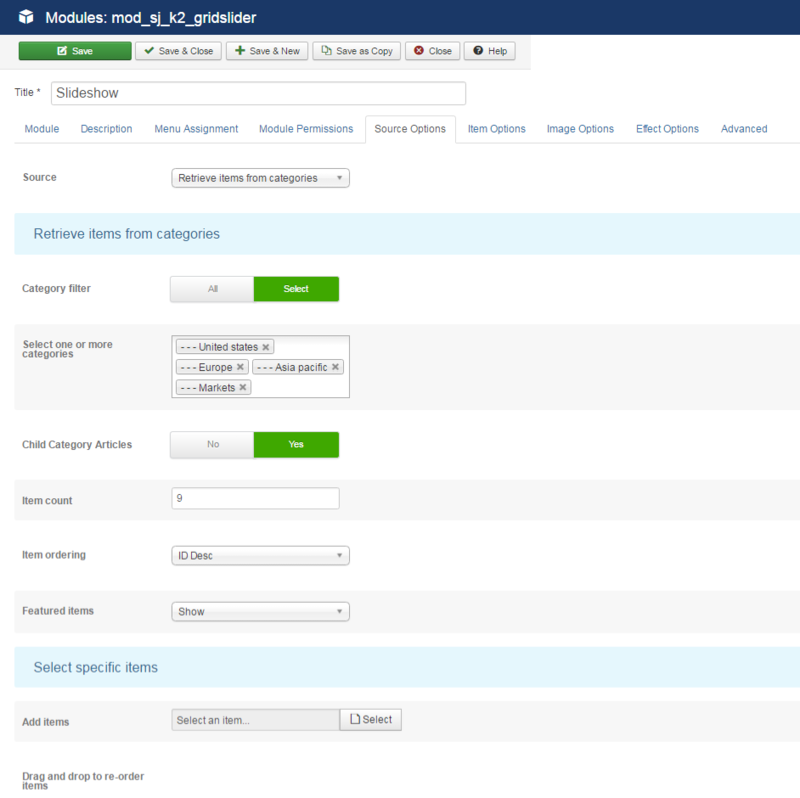 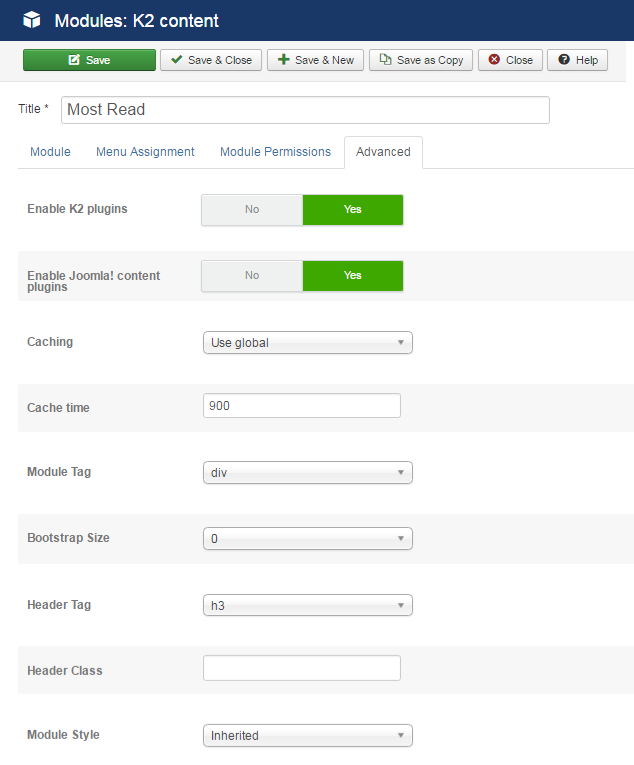 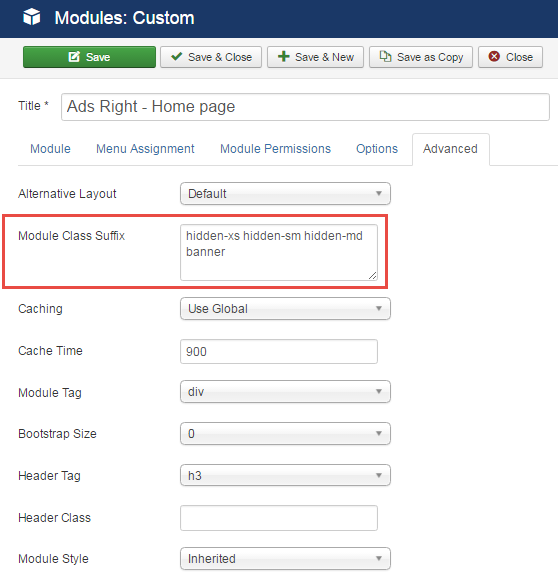 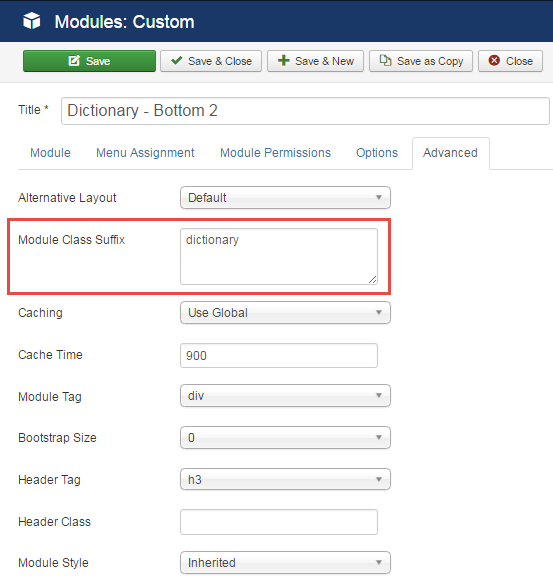 To configure this module, please go to Extensions >> Module Manager >> Click “New” button to create a new module >> Select “SJ Grid Slider for K2” module. 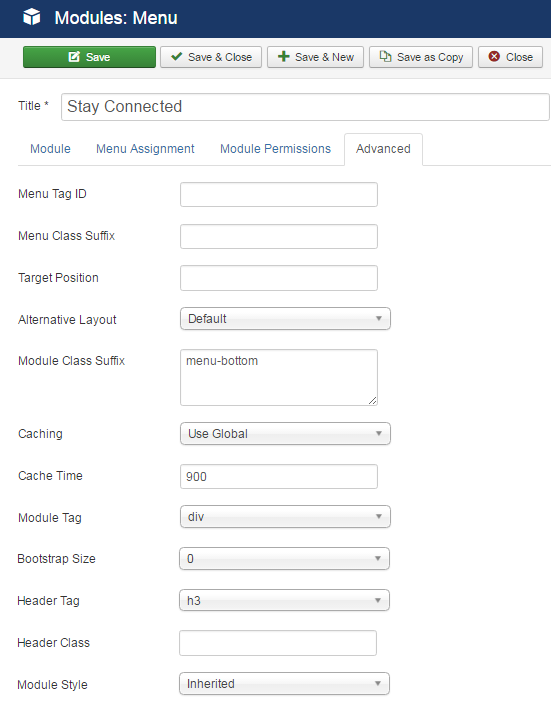 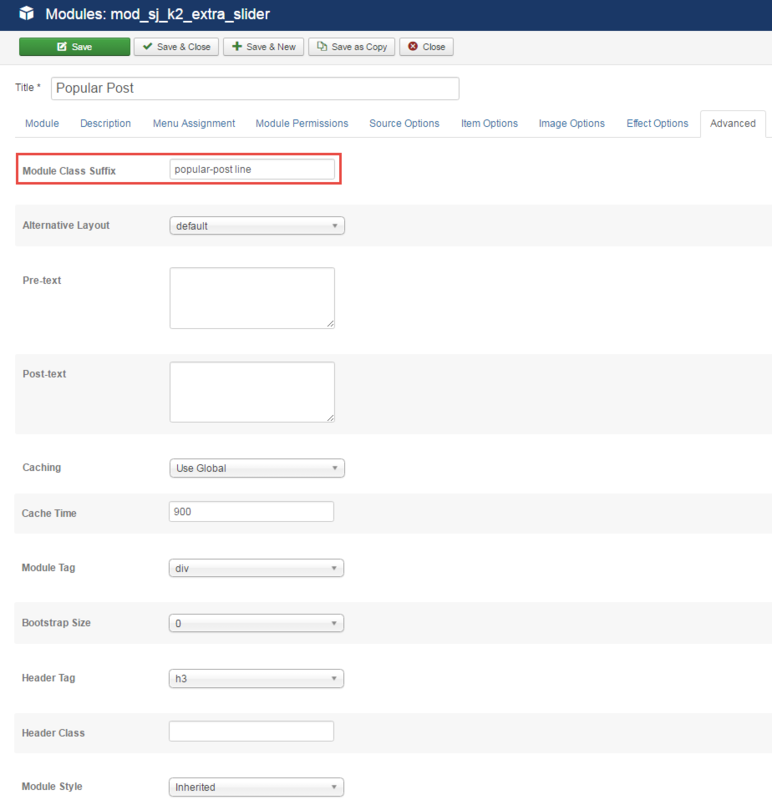 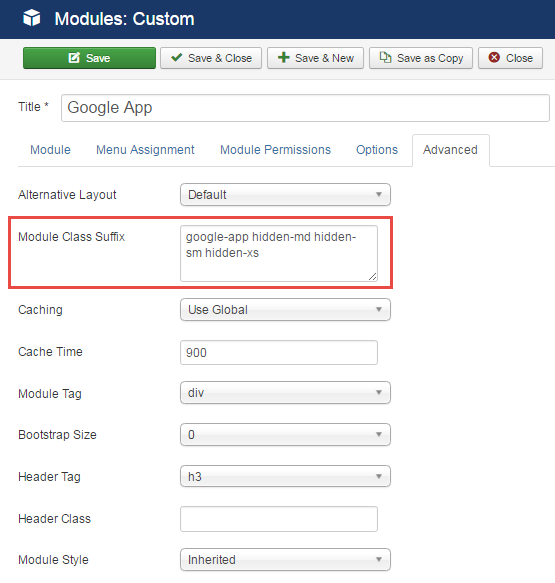 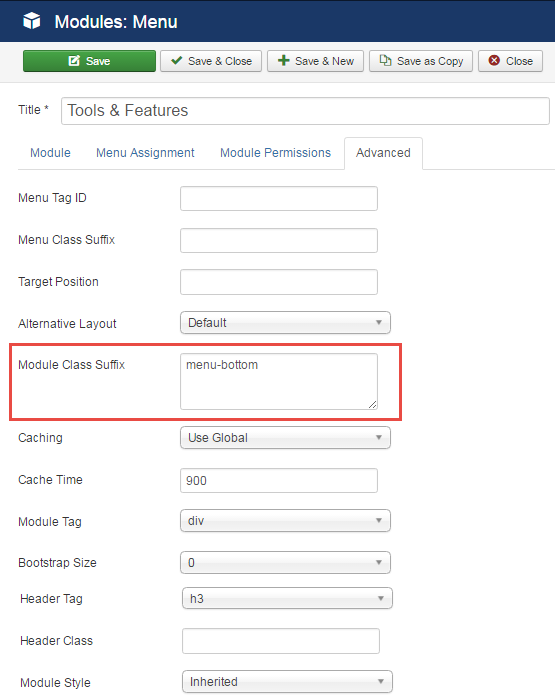 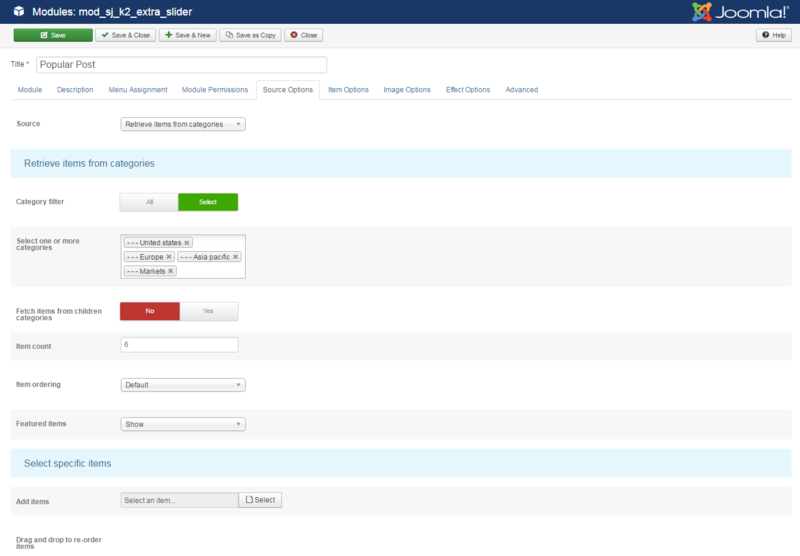 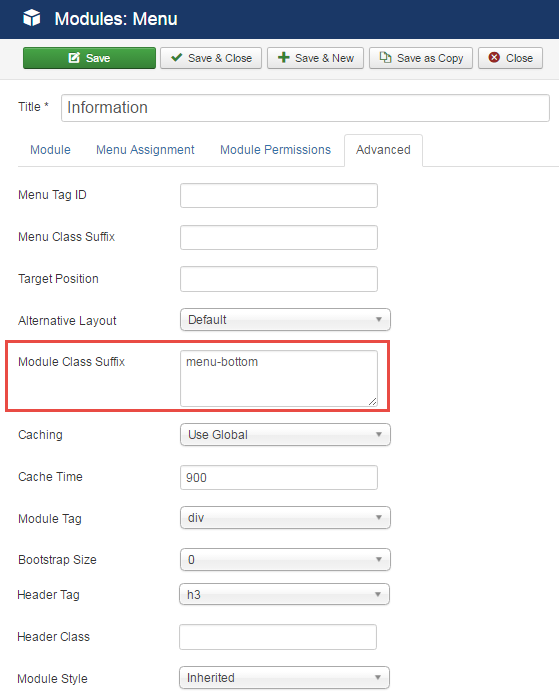 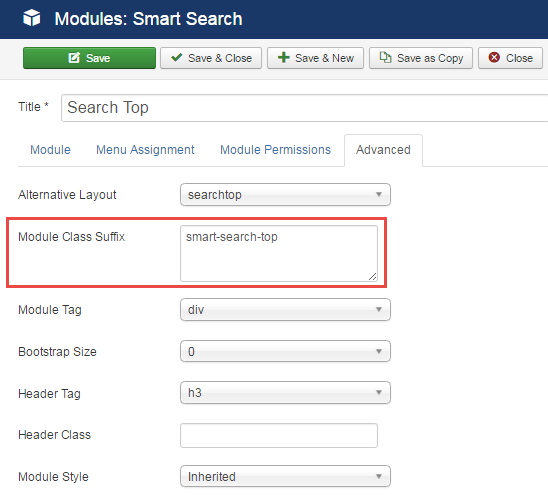 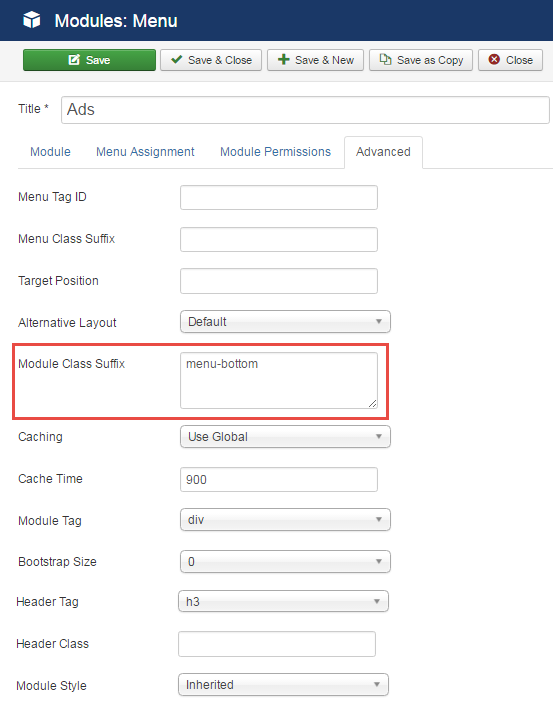 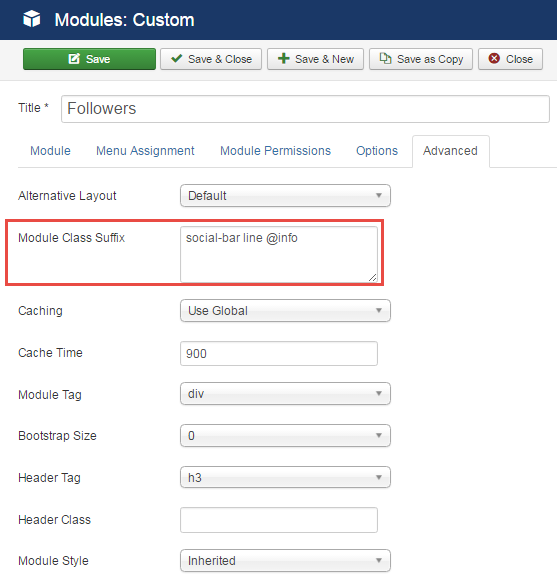 To configure this module, please go to Extensions >> Module Manager >> Click “New” button to create a new module >> Select “Custom” module. 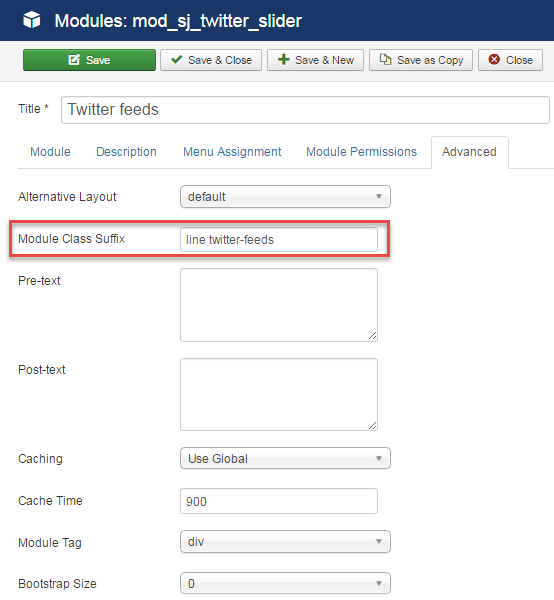 To configure this module, please go to Extensions >> Module Manager >> Click “New” button to create a new module >> Select “SJ Twitter Slider” module.